Each month we interview an events professional who is breaking the mold. This month we spoke with Britta Schellenberg, VP of Corporate Marketing Operations at Brightcove about scaling an event strategy, partnering with other events and getting the most out of video content. Over eight years ago, the video platform-provider Brightcove staged their first PLAY event in Boston. At the time, it was an exclusive invite-only event directed at educating and delighting Brightcove customers. 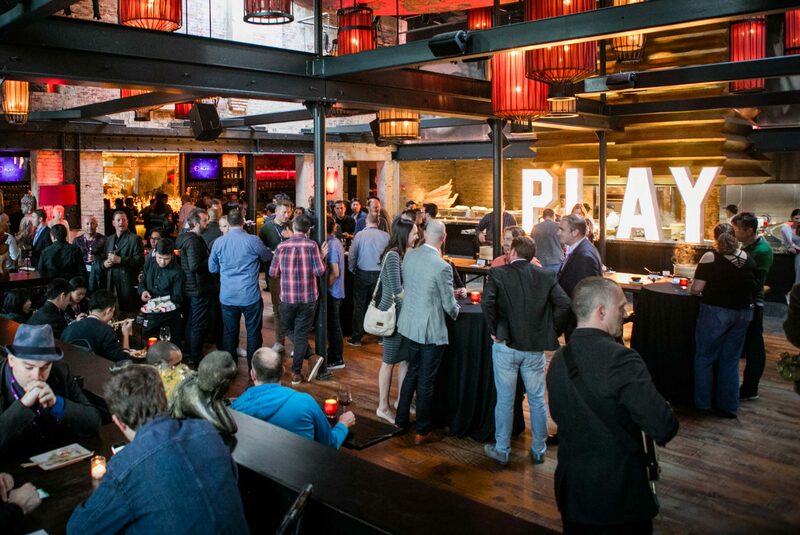 Since then, PLAY has become a powerful event brand that exemplifies how tech companies can leverage in-person experiences to achieve business goals and establish themselves as industry thought leaders. Overseeing much of PLAY's growth has been Britta Schellenberg, the VP of Corporate Marketing Operations at Brightcove. Britta's creativity, data-driven mindset and passion for bringing people together has seen PLAY evolve into a continent-spanning event series. It's no exaggeration to say that Britta and her team at Brightcove are some of the most innovative event marketers in the industry. You can learn more about Britta's approach to events in the How to Launch a User Conference webinar. Brandon: You've worked in all aspects of SaaS. You've worked in project management, you've worked in localization and of course, marketing. Could you tell us a little bit about your career and how it led you to where you are now at Brightcove? Britta: Sure. I finished my degrees in the late 90s with an English degree, it was kind of a change for me. So, I went to school to get my PhD in comparative literature and I did some studies in the English and the US study. After finishing school, I started working in customer support, where I used my language skills quite a bit, and that led me to project management at a startup. I then went to do program management in another startup, and that led me to product management for a third startup. I finally landed at Brightcove as a part-time employee, initially to help with the localization of the website. I'm born in Germany, I speak German, so it kind of came naturally that I would be interested in this sort of project. And then I stayed on. I was hired full-time and I went from Senior Project Manager to a VP of Marketing over the course of my nine year career at the organization. Brandon: I think one of the things that really stands out about that whole trajectory is that you basically got to see Brightcove's annual user conference come to life and become what it is today. Britta: Correct. We started eight years ago, this year. So, initially it was a very small conference. Probably about 200 people and it was all customer-centric. We started off with just inviting our customers. It was a very VIP experience. Customers got the exclusive invite, and nobody else could attend the event. And that's how we ran the event for the first couple of years. The first Brightcove PLAY was held in Boston. We kept it lower-key, and then we eventually went global with the event. We did the event as a world tour about six years ago, and we went to London, and Sydney, and Tokyo, and New York. And we expanded it a little bit and invited prospects to the event. For the last four years our non-customers in attendance have grown steadily year over year. Last year, about 20% of our attendees were non-customers. So, we're moving away from it being a very customer-centric experience to a much more of a thought leadership event. Brandon: I know we can't spoil too much of what's in store, but what do you foresee as being some of the changes that will need to happen in the programming, branding, and overall production of PLAY as you make the transition to more of a thought leadership event? Britta: Sure. You know, I don't mind giving all the secrets away. I think it just benefits all of us. In terms of programming, it means that we obviously have to create more. Next year, the goal is to double our attendance. We're going to go from 500 to a 1000 people. They cannot all come from our customer base, and while we are continuing to invite our customers and our clients for a program that is very targeted towards them and their needs, we are doing more in terms of advertisement and reaching new audiences. In terms of content, it means that we still continue to have hands-on practitioner sessions on our product, and we will have customers present on use cases, but we will also talk about general topics that our customer base, as well as other people in the online video industry at large, are interested in. We’re raising it up a level, and talking holistically about challenges that people experience with online video. "It's about looking at it from a high-level perspective, about challenges that everybody in the industry has—not just people who are using Brightcove." Brandon: Brightcove specializes in video and you are very good at it, especially when it comes to generating content for events. I’m thinking specifically of the interview series that you host. Can you just tell us a little bit more about your pre-event strategies for promoting PLAY? Britta: Sure. Pre-event we do a couple of things. I do what you were just hinting at—a speakers series. I tend to interview people who are coming to the event and give a little bit of an idea of who they are as a person, as well as what they will be talking about. I always feel that—and this is one of the big things that you get with video—is that you get an emotional feel for the person that is presenting. That really shines through the video and it allows the presenter to introduce themselves ahead of the show. In addition to that, we do a lot of promo videos. We take some B-roll from previous events and cut them together into brief 30-second advertisements to give somebody a feel of what it's like to be at the event. We do a lot of parties at the event, and there's a lot of sessions and networking. To really get somebody who's never been to PLAY to come, you need to give them a little bit of what the experience is like. Brandon: Another thing that stands out about your video strategy is how you are still producing content after the event. Britta: A lot of the content that you're creating during that conference should really be used throughout the entire year. You invested so much in it. You have to get that ROI back. We shoot a lot of content during the event. We basically look at who's coming to the event. Do we want to do a case study with a customer? Do we want to interview a leader on a specific topic? And we capture all of that during the event, which requires a lot of pre-planning. Pre-planning is something everybody should do when they're doing this kind of stuff because you really only have two or three days to do it all. Then, we're using that content throughout the year to keep people engaged and keep the conference at top of mind. Brandon: It brings a comparison to my mind: The same sort of strategy and planning that an organization might take to set up a business meeting at an event. It sounds like you're taking a similar approach but for content. Britta: Yes, content is so important. We're all content producers in a way. "We're all creating these stories about who we are, what our business is about, and what our customers are experiencing when they're using our software." These stories are important because they show people that you want to engage with them, and that you want to help them. You don't really sell people anymore on a product, you sell them on a solution and you sell them also on the company that you're with. An event brings this all out: Who you are as a company. Brandon: You spoke about the need to measure ROI. I saw that you recently wrote a blog post about this on LinkedIn Pulse. How did you yourself start to look at events this way? Britta: The way that I look at it is "why are we doing this event?” Are we doing this event because we want to spoil our customers and show them that we appreciate them? Are we doing this event because we want to educate our customers and we want to show them how they can use the product even better? Are we doing this event because we want to create buzz in the PR world or in the analyst world because we're releasing a new product? When you ask yourself this question you ultimately come up with measurable tactics that you need to deploy to reach the goals that you face. When you say, “I want to treat my customers really well,” you have to look at it with that focus in mind. Are the customers that are coming to the event renewing the next year? Ultimately, I'm doing PLAY because I want to help our sales department to move our business forward, to get more leads in, and to convert our customer base. When you can prove to your sales department that your event had a direct impact, either on the renewal or conversion of a prospect, they love you. They will do anything to help you with the event. As an event planner, you're kind of like one entity in a company, and a lot of times you may have a team of one or two people, but you're off to the side. You don't fall under the sales team, you don't fall under the marketing team. To get support for your event internally it is really, really important that everybody buys into it and supports the event and helps you. But always ask why. Why are you doing it? Brandon: You mentioned that you're already hosting events across the globe. What are some of the factors that you consider when producing a new event? Britta: We have PLAY Boston, which is the mothership of PLAY, the premiere event. We have a smaller event in Tokyo that also kind of follows the PLAY scene: It's multiple days, it's customers and prospects, and it’s localized content from PLAY Boston. Also, because we have this goal of increasing our conference attendance by 100% and moving it into a full leadership position, I'm franchising some of PLAY. I created this smaller type of event called the PLAY Studio. PLAY Studio is a one day event that has its own logo and plays on the name of PLAY for Boston. But it's for local events. So, PLAY Studio is a way for us to extend the brand of what PLAY is to other locals and give people that experience in a smaller venue. Brandon: You also brought PLAY Studio to Content Marketing World this year. Britta: That's another strategy that I have. Try to find an event that's already happening, such as Content Marketing World, or INBOUND, or Adobe Summit, or whatever it is for the industry that you're in where people are tangentially bringing prospects to an event that is somewhat in your prospective buyer list. Call them up and ask, “Hey, I want to partner with you guys. I want to do this offering with a workshop, a thought leadership session, and I'm bringing somebody in that's a really good customer of yours, and they have brand name recognition." Offer something of value that can add to that event for attendees. Most likely, the organizers that are doing those events will welcome you, and they will work with you. You need to be a little bit persistent, but that sort of offering extends their event, and it extends your event. It's a really good way to partner with somebody and reach new audiences. Britta: I do photography and I travel a lot. I like to meet people, I like to see new things, I like to eat different food. I also am an avid knitter. I actually used to have my own little knitting label. I find visual inspiration in looking at knitting designs. Yoga is another big part of my life. I like to clear my mind and keep fresh that way. With yoga, you do a lot of physical activity, and then at the end you kind of chill out in this pose called Shavasana. In that Shavasana pose, when my mind is completely clear, a lot of my creative thinking happens. The same thing happens when I garden. There's a lot of perspective that you gain with gardening. There's a lot of doing with your hands, there's smelling the flowers, there's smelling the earth. All of these activities help me be engaged on a creative level. It might not exactly relate to what I do for work, but they kind of do their magic with me. Brandon: When you're knitting, do you prefer English, Continental, Portuguese? Britta: I prefer European Cast-on. They also call it the long tail cast-on. Brandon: I noticed on social media that you're also involved in the Women in Digital event series. Could you tell us a little more about your role? Britta: I'm on the board for Women in Digital, and I run the Boston Chapter. It's just a little side project that I have. It's also a fun way to network with people and meet people in other areas. And that's another way to get a lot of inspiration: meeting people, and hearing what their stories are, and what they're doing. I ask a lot of people, “What events have you gone to? Who's your favorite speaker that you saw?” Questions like that really help you provide a well-rounded experience for your conference next year. Brandon: What's one piece of advice you'd give someone who is looking to stage an event like PLAY? Britta: Ask why you're doing the event. What's your goal for the event? Once you have that, things will just fall into place. Everything that follows will be based on that. When you find yourself distracted, or you don't know where to go, go back to that answer. That will keep you focused and on track.